It is through many trips that Feiyue finds inspiration. Since 2006, ths French brand has been exploring new territory, in harmony with their values. Their collections consist of various designs for you to choose from! Without losing any of its vintage and authentic charm, the basic small shoe made of denim/canvas , native of Shanghai has undergone a series of transformations. Smooth evolution blending of French and international influences a Feiyue is born. The brand is now preparing to expand into new markets all over the world and is sure to meet success! Important work has been done on the standards of quality: original form completely revised, materials chosen with great care, and high quality for a shoe that combines esthetics with durability and great choice of colors. Following these changes, the first collection was launched in France in February2006. 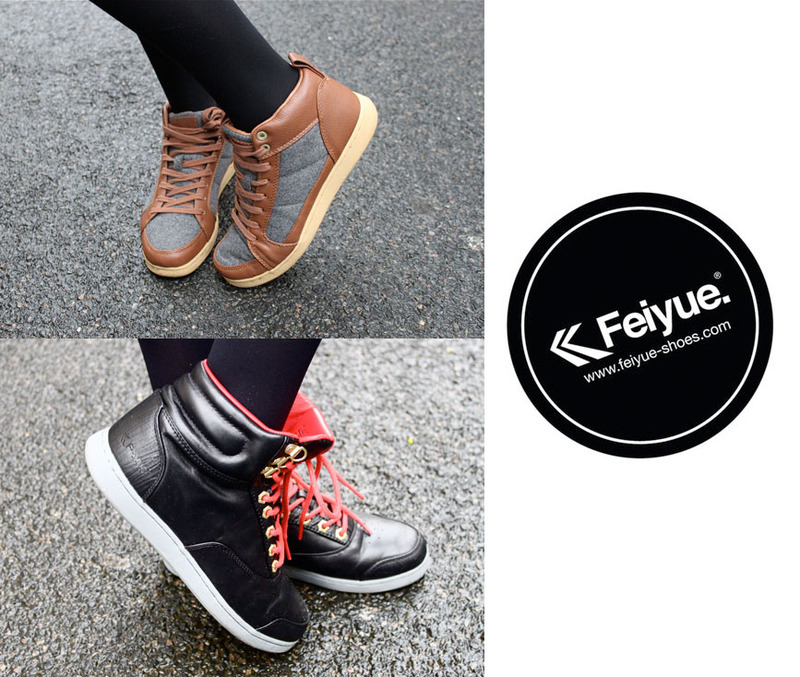 Since, Feiyue has endless variations and is constantly evolving. Because its Chinese name, pronounced "Fei-ué", meaning "Flying Forward" or fly forward... Innovative models are constantly created, highlighting new colors and new materials ! According to the Feiyue team : " Passionate about urban art, music and travel, the team follows its desires on a daily basis and enhance the Feiyue range intuitively, without trend book or other preliminary studies. Memories, images, impressions, moods, picked up over the movements,weave and constantly enrich the universe of the brand. This philosophy of openness to the world and search for new forms will always inspire all creations. " Next to the adult shoes collections, Feiyue also creates tshirts, and kids footwear which are just as amazing as the designs you see in the pictures above.